Love has six billion faces. That is how many people there are in the world, although there will be more by the time you finish reading this paragraph. Actually, love has more than six billion faces because each human being has many faces of love. The loving face I turn towards my mother is subtly different from the face I turn towards my lover or my child, and different still from the loving face I turn towards a landscape or my home or a favourite painting. And love has billions of faces beyond that: the faces of the ancestors stretching back millions of years into the past. Cro-Magnon woman knew love as she held her baby. The first cave artists knew love as they swept the line of a bison on to the cave wall and left their handprints beside it. What I am trying to say is that love is a force with infinite expressions. With each page that I have written, I have become more aware of my own limitations in trying to filter this infinite experience through one finite life and sensibility. 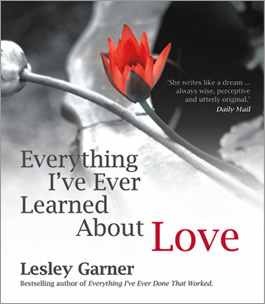 I am a single human being, stuck in time and place, with many limitations, and yet I am writing a book that claims to be everything I have ever learned about love, in the hope that I might have some insights to pass on to you. Somewhere between the infinite manifestations of love and my single human existence I hope that I have stumbled across some universal experiences. Before you read on I want you to take certain things into account.